Three weeks ago Mike & I started Beachbody's Ultimate Reset Cleanse. You can read about our start here. The Ultimate Reset is a program from Beachbody. Learn more on their website. This is just my experience. The idea behind this program is that we live in a toxic environment and sometimes we need to "reset" ourselves and get back to what we probably already know is good for us. That statement is a little weird. I would say it's true for most people, but I certainly understand that plenty of people simply don't know much about nutrition or healthy living. Or perhaps they have different ideas about what those things mean. In any case, Mike & I do know a bit about health and nutrition- but sometimes we choose to ignore our knowledge and eat pizza and drink sodas instead. Because they are tasty. And we are lazy. Before starting this cleanse, I had several specific goals in mind. If you ever try this program or any other, or just want to change something in your life, try writing down your goals so you'll have something to help keep you on track. How else will you know if you've been successful if you have no criteria to judge by? Fresh, yummy staples. I actually cooked with them! I don't know. What do you want? I don't know. Do you want to eat here or go grab something? I don't care. I don't really want to go anywhere but I don't want to cook either. Yeah, winning! <-- I SO need a sarcasm font. That's NOT a great way to eat healthy or to enjoy time with your spouse. So did the cleanse help? Heck yeah it helped! It was awesome! Having a predetermined menu was fantastic and the fact that it was all healthy, fresh food was a major bonus! The food was so delicious and we both felt so satisfied that we're going to stay on this eating plan for a while longer. We were never hungry and there was plenty of variety for us. I mean, we LOVE food and neither of us would be happy if we had to eat the same thing day after day. Determine the effects of sugar/grains/bread/dairy/meat on my digestive system. My reasons for this one are too complex to go into on a blog, but I have been concerned that my diet is the source of some issues I've had for some time now. I struggled with which ones to eliminate first. Beachbody took care of that for me. During the first week, the program starts eliminating animal products and breads. By the 3rd week, it's totally vegan. Now I have the joy of adding things back and paying attention to how I feel as I do so. 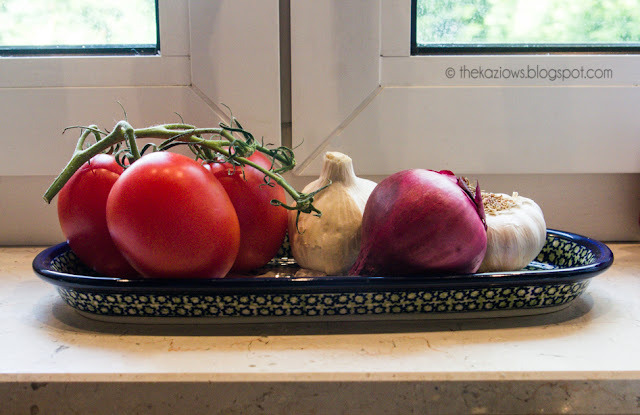 I firmly believe that food is either our greatest medicine or our slowest form of poison. I want to continue shifting towards the former. My results? After 3 weeks, I feel fantastic. I have had no GI distress except for the one time I cheated (more on that below). Living without meat, wheat, sugar and dairy isn't so hard. In the spirit of full disclosure, I continued to have some Greek yogurt in the morning (not every morning, just on days I wanted it) and sometimes I still put a little Feta cheese on my salads. I don't overdo it in either area and I've noticed no negative effects from either one. I'm also going to keep fish in my diet a couple of times a week or so. It's delicious and I love it and it doesn't make me feel bad, so it stays. As for red meat or lamb, I don't know. Since I usually only crave them once a year or so, it may be a while before I eat them again. I'm not a big fan of chicken and even less so after cutting it out for these past few weeks. I just don't care for the texture. 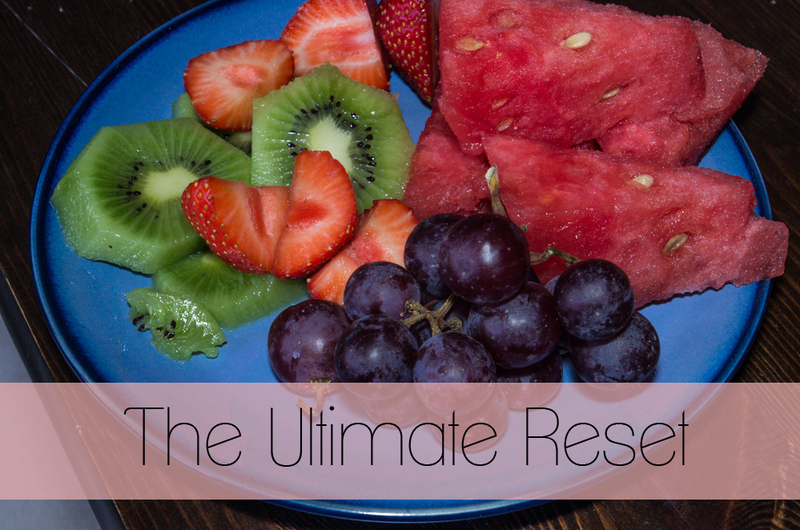 So, yeah, the Ultimate Reset gets another great big thumbs up for this one, too! Have more energy, without stimulants. Result: Yup! Done! My list of projects completed over the past three weeks: 2 bathrooms reorganized, all of the laundry kept up with and put away (I didn't know this was humanly possible until these past few weeks), planning a living room redo is well in the works, my long term clothing storage cleaned out (well, I've finished the first clean out; I'll look at it again in a few days to see what else I can cull), my daily closet cleaned out and reorganized, my entire house is mostly clean on a daily basis, I cleaned out the junk drawer (I only ever do this when we're moving), the dog has been to the groomers, my library/sitting room is cleaned out, my home files are sorted, and I'm sorting stuff for either a yard sale or donation. Seriously, I don't usually have that much energy. Cleaning out ONE room might take me 2 or 3 weeks after I finally got motivated enough to do it. Some days I just couldn't stop moving. And, no, there was no jittery, over-stimulated feeling like diet pills cause. My body just felt like it was functioning properly. Exercise daily- at least some yoga, a nice long walk with the dog, and something more challenging. "Challenging" could be running or lifting weights, an exercise video or a swim- whatever I feel like doing that day, but I need to Move Every Day. Ok, I failed here. I did yoga most days and I kept moving almost all of the days. Lola was walked regularly (but I can't swear to every day). I completely failed at the "challenging" part. I have big plans to do better in this regard, but in the spirit of full disclosure, some days I felt ... worn out. I wasn't tired, exactly, I just didn't have that abundant energy every single day. I'm chalking it up to detoxing. Overall, I felt great but some days I just needed a nap. So I took one. The good news is I can totally get on track now! There's nothing holding me back. I feel fantastic. Isn't this what most of us care about? Show me the numbers! So, did it work? A big, fat heck yeah! I'm down just over 2.5" from my waist and 2" from my rump, a full inch from my upper arm and about 1.25" from each thigh- and keep in mind that I didn't exercise hard. I didn't even exercise lightly every single day. I'm calling it a win. Week 1: At the end of week #1, I am down about 3" - 1.5" from my waist and 1.5" from my ghetto booty. I have no idea if I've lost pounds because I don't own a scale - they are SO 80s! Even though I realize it's mostly water weight, that's not a bad start. Also, I feel great! I'm not hungry and have more energy than normal - without coffee. GASP! I did try a cup of coffee one day with Truvia and almond milk (rather than sugar & creamer) but it just didn't taste good. In addition, my KP (keratosis pilaris) is clearing up. It's just a vanity issue, but I love that it's going away. My seasonal allergies are also much better. OH! And my house is clean! I have so much energy it's easy to keep things nice & tidy. The worst part of this week has been avoiding chocolate. I've realized that I eat when I'm bored. The moment Mike leaves for work, I turn on a movie or TV show and I want to snack. I've gone to the pantry several times this week and stared down the chocolate but it hasn't beaten me yet! Week 2: Confession: I cheated. This week has been harder. We've been busier so I haven't been prepping and cooking as much. We've eaten a lot of salads because they are fast and easy, but even with that option we got caught out too late one night and we got way too hungry. We went to a restaurant for dinner where I had a chicken cesar wrap, thinking it was probably the healthiest thing available and what was the big deal since I could have a couple of pieces of toast last week? Well, let me tell ya about my reaction. Three hours later I had a splitting headache, my sinuses were stuffy, my neck and shoulder hurt like the dickens (they don't normally hurt if you're curious). The next day my KP was back on my arms and I had a new patch on my stomach. 2 days later, I'm still bloated. What the heck, man? So I'm sensitive to either wheat and/or gluten. I'm going to get my diet nice and clean for a while and then try some instant oatmeal. Why oatmeal? It's wheat free but still has gluten. If I react to that I'll know gluten is a culprit. If not, it's probably just wheat. Week 3: If I thought last week was hard, this one has been harder but in different ways. 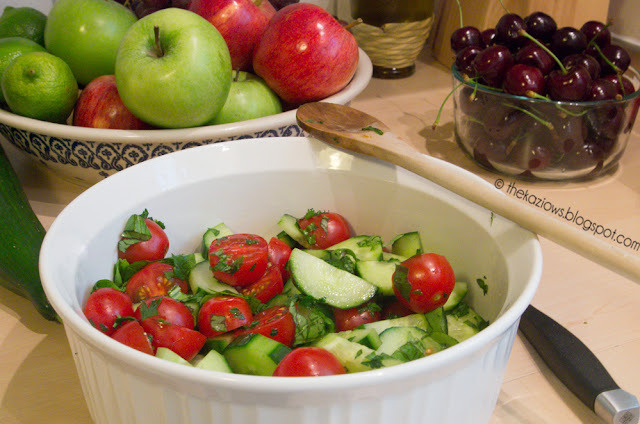 We're pretty much operating on salads and apples right now because this week suddenly got crazy busy. I don't crave the junk food or the convenience foods like I did the last 2 weeks, but I miss having the home cooked meals from week 1 so I need to get back to that. But you know- Mike & I talked about it and we're both pretty happy eating this way. I know he misses meat - I see his eyes light up when he sees me pack a chicken breast with his lunch. It's very satisfying and the food is delicious. Also, I had a bit of chocolate last night. I just had such a long day and needed something comforting. Enter dark chocolate with sea salt caramel filling. But you know what? I had one square and it was enough. Normally I would have had the whole bar and then maybe another one. Followed by some chips. I'm not going to feel guilty about it. Update from the next day, RE: Chocolate splurge. Apparently a square of chocolate isn't a terrible thing. I'm not bloated today and I didn't gain 5 pounds overnight. My measurements are exactly the same today. Guess it's true what they say about moderation. That's it for the Ultimate Reset. Think it sounds awesome? It is. I think this is definitely something we will come back to from time to time. We're definitely keeping the food plan and recipes, but to varying degrees. Mike isn't interested in being vegan at all but I feel good when I eat less meat & dairy. He seems fine with wheat and rice; I do better without them and - more surprisingly - I don't even miss them. We both thrive on fruits & veggies and I've learned lots of new ways to cook them and fun new combos! It's all about finding what works for your body and finding balance. 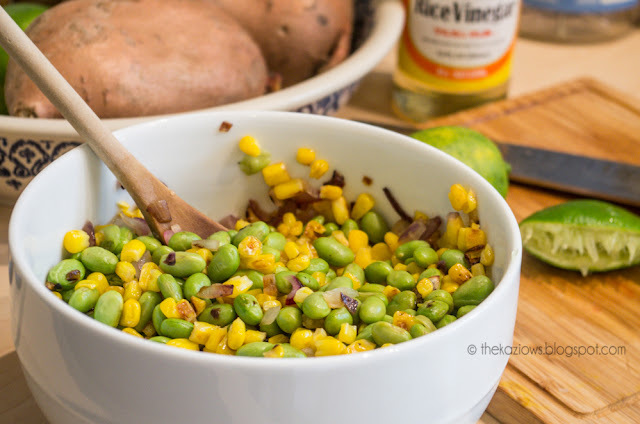 One of our favorite recipes that came in the Ultimate Reset Book: Roasted Corn & Edamae Succotash. That picture above? You can't tell me it doesn't look delicious. (Oh, and it is!) And it only takes about 15 minutes of easy prep to prepare. It's supposed to have red bell peppers and cilantro as well, but I forgot to buy them and I'm not going back to the store right now. We're all adults here, but just in case: I'm not your doctor. I'm not a doctor at all and this is not intended to be medical advice. I have no idea if this is a good program for you. If you have concerns, speak to your health professional of choice. The Beachbody website (linked above) does state that this program isn't recommended for those who are pregnant. About gluten sensitivities & intolerances: If you suspect you suffer from either one, talk to your doctor while you're still eating gluten. A simple blood test can tell you if you're producing the antibodies required for diagnosis but you must have gluten in your system for it to show up. For more info, check out The National Foundation for Celiac Awareness. This blog is a personal account of what I did and my results from it. That's it. Nothing more, nothing less. So now that that part is out of the way, let's talk! What are your thoughts about this program or programs like these? Are they awesome or just a waste of money? Do you like eating clean or do you find it too hard to maintain every single day? Do you ever do random things partly to torment your husband (or wife) just because you secretly find it amusing?